Have an Existing Inverter and Batteries –Then just add SUN WIN-Go Solar which is an MPPT based Solar Conversion KIT which is up to 25 % more efficient than conventional SMU’s. 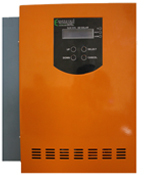 Energywin’s Solar Conversion Kit converts existing Home /Office Inverter & UPS to Solar UPS. 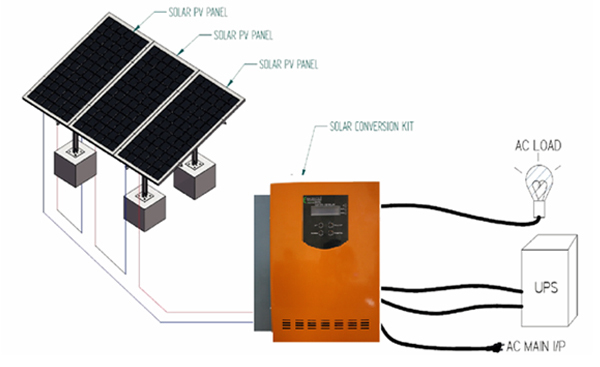 It enables the users to use their existing inverters and batteries while just buying panels, cables and Go Solar kit to make the Simple Home /Office UPS to a versatile MPPT based Solar UPS. Go Solar SCK charges the battery of the Home /Office Inverter and it harvests maximum energy from Solar about 25% more than conventional Solar Charge controller due to its inherent and efficient MPPT (Maximum Power Point Tracking) technology.